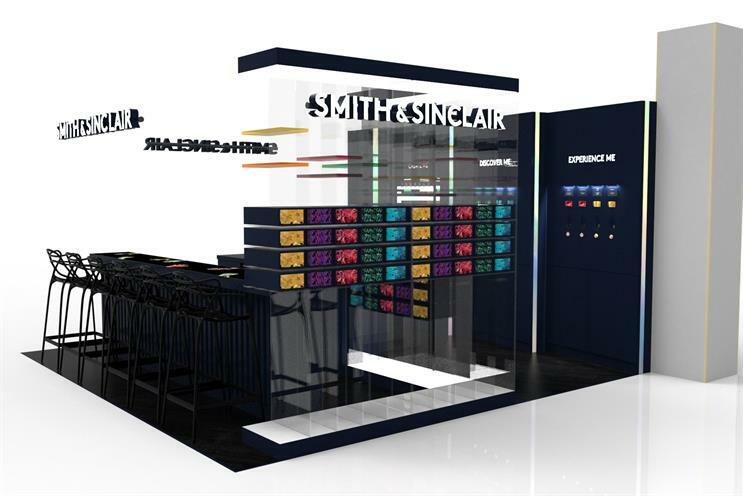 Smith & Sinclair, the creative cocktail company, is setting up a retail experience with thermal reactive surfaces, scent diffusing walls and animated light features. The brand is setting up in John Lewis’ Oxford Street store at the end of this month with a fully-stocked cocktail bar which has thermal ink on the walls so that it changes colour as people touch it. At the pick 'n' mix station, customers will be able to try the products by pushing pastille buttons that diffuse scents. Smith & Sinclair co-founder Melanie Goldsmith said: "With the launch of our rebrand we wanted to work with a retail partner that truly understood what experience retail is and how mission critical it is for brands to bring to life their products through the senses. "We couldn't be more excited for our customers to see what we've been working on for the last year in product development, packaging and our live communications in-store. "We want everything from point of purchase through to gift receipt to be a moment of pleasure, indulgence and excitement and feel that will 100% be the case with our John Lewis partnership."